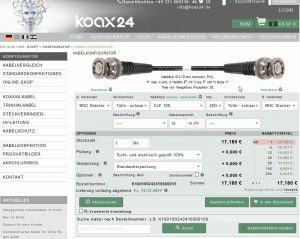 High quality coaxial cable, compliant with the standard MIL-C 17F. The sheath is made from PE (resiliant against environmental impacts) and the conductor is made from copper. 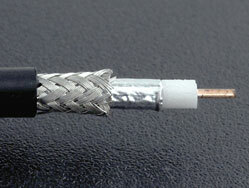 The LMR 195® is a 4.95 mm thin PUR radio frequency cable. Double shielded and suitable for high-tech applications under normal temperatures, also for outdoors. 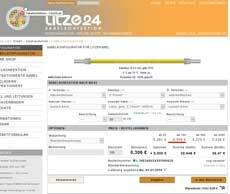 The following overview shows a comparison of cables with similar outer diameter. If not otherwise required, we will deliver the cable with a black kink protection.